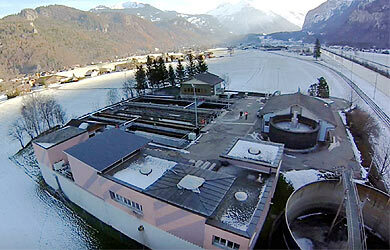 Cambridge, UK and Pittsford, NY – 28 May 2014: For over 30 years the waste water treatment plant at Meiringen, Switzerland has been reliably treating 1.1 million cubic metres of waste water annually. To keep up with the latest technological developments, intelligent P&ID software is key. Diligent maintenance and up-to-date technology help to future-proof the plant’s operation. Sustainable energy use and energy efficiency are also key operating principles at ARA Meiringen, which produces electricity from naturally occurring sewage gases. In 2008, the plant was awarded the 2008 «Médaille d’eau» for efficient and sustainable energy use. ARA Meiringen staff do their own prototyping, design and construction. This involves changing existing piping and instrumentation diagrams (P&IDs), and designing and manufacturing individual components. 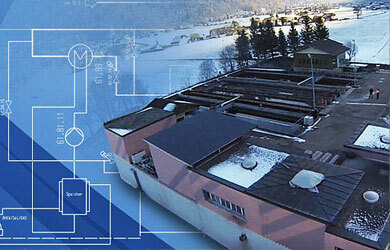 To improve their design processes, ARA Meiringen chose CAD Schroer’s MEDUSA4 P&ID software in order to more quickly and easily create and edit intelligent process schematics. Accurate P&IDs are essential for seamless plant documentation. Mr. Zumbrunn first digitised and then edited existing schematics with MEDUSA4 P&ID to bring them up-to-date. 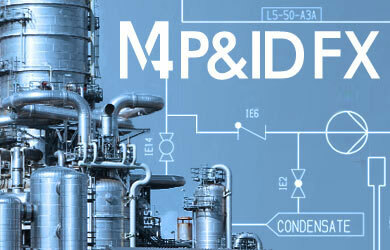 Any plant process improvements can now easily be planned in MEDUSA4 P&ID. Users can quickly edit designs in line with new requirements and try different versions of a schematic for plant optimisation. Mr Zumbrunn uses MEDUSA4 P&ID’s 2D drafting tools for sketching or even detailing new components or equipment required. The drawings are then passed to the in-house production team for manufacturing, or to consultant engineers for further detailing. ARA Meiringen now benefits from an extensive P&ID symbol library, as well as dynamic tools for placing and editing symbols and creating piping systems. Automatic consistency checking and parts list generation provide quality assurance and accurate data for downstream processes.